BEAT- 2018 should be a year of truth and truth only. First things first. As much as we do not expect miracles from the new present administration, we do not have kind words for you MR GOVERNMENT on matters of cholera, typhoid, dysentery and other health matters. I think we must not mince our words, NO TO CHOLERA, NO TO WATER POVERTY, and NO TO POVERTY. MR GOVERNMENT, the health minister must be recalled. The health system in Zimbabwe has been in a chaotic state for a long time, as the water delivery system is in shambles. Hospitals are broken and down. Something has to be done to bring sanity. The Government must work out something on matters of health and water infrastructure and stringent measures to curb poverty must be put in place. Mostly in situations like these poor societies who sit on the peripheral edges of our nation are at the receiving end because of poor water, housing and other social amenities. They suffer the brunt of disease and loss of life. The Zimbabwe We Want Poetry Campaign knows for sure that any sane government would always want to lead a healthy citizenry. WE CONTINUE TO SAY NO TO CHOLERA, TO WATER POVERTY AND TO POVERTY. Citizens must also on the other hand take responsibility for their actions and avoid the spread of water and food borne endemics. Let’s be responsible as much the leadership system must be more responsible. 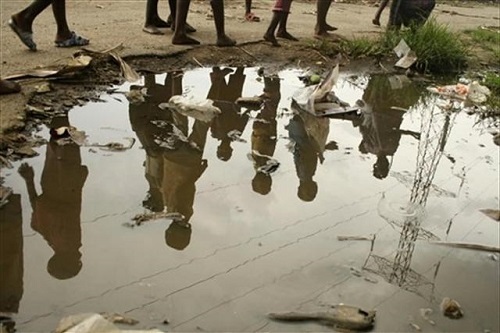 Endemics like Cholera destroys life and stifles national development. We must be a proactive rather than a reactive nation. Thank you greatly to Richmore Tera for an insightful opening poem in this journal and all other Brave and Solidarity Voices from Zimbabwe and across the world. A big thank you to Literature Legendary Hadaa Sendoo for agreeing to be the Guest Poet of this set of Brave VOICES Poetry Journals. We are greatly humbled. hank you for you Voices most of them are Sister Comrades Nnane Ntube from Cameroon, Caroline Adwar from Kenya and Chrispah Munyoro from Zimbabwe, THUMBS UP for joing the struggle. ALUTA CONTINUA- Mbizo Chirasha. To land on icebergs of litter. Flow within the wanton kids’ veins to dash their green hearts. Thunder in the mango baskets. Then, all of a sudden, a blackout. Yet i am filthy, you are elegant. Its Shadows have become numbed. Looking beyond the great hills. Breathing hot air like a dragon. Heart beat measured in mega-seconds. For the umpteenth clock, signing. The sigh controlling choking tears. Yes I could empty the sea. For blood had profusely pumped from my flesh. While the masses are shrivelling. Seeped of the great future. Stolen is the willpower to live. I see desert in an oasis. Drinking the dirty waters to try quenching the thirst. The hunter dancing with the hopeless. Its red eyes full of wrath. All in all it is grinning widely. Squashing the flies on its mouth. So plenty, you would say it’s the lord of the flies. Tail slicing the human throats with no mercy. You would think it’s the honour of world. So cunning and cruel that it repulses. Intellects playing poker with beggars. Bazookas carried like beloved babies. The hardness of the casino of breathing. All looking at the mountain with great expectations. Only stones stuck them in amazement. Dropping their machetes in awe. Africa the beauty of the world. Full of crops in granaries. The bumper harvests caught by spider webs. To go have a handful you step on scorpions. Drinking blood in wine glasses. Babies robbed of their future. While they sip Musombodia from water bottles. Injecting lethal medicines in dine. Africa ,wake up from the slumber. Smell the fragrance of perfumed life ahead. You are full of hope for the whole world. How long will you there stay? When do you intend to quit the stage? And emancipate love from the locked cage? And a brand new life start? When will you announce your re-birth ? And declare your departure from earth? But from your pain’s tomb? Mixed the spices and touched my water…..
Was it long? Was it short? The hunger pangs are real..
Must I wash my fork fingers? To rip my intestines apart…. How will I even say it? I must surely shame it! How it tries a disguise! Of course it will not work! And my once jolly frame a scare crow! And your rights you have a right to ask. For he is the ultimate winner. With the reins of power get you walking still. Let’s not grumble, they say. Speaking as if we have a choice. How good is this local content? Hastily produced to fill the vacuum. Crushing them in dark alleys. and then dazzling in flames. Hawkers vending guns for gain, Casanovas pimping freedom for slogan. That have flown to heal one too many nations. To find new sources of water for Zimbabwe. We are axes that don’t cut trees. We preserve our oxygen. Imi mega nemhuri dzenyu, asi chii nhai? Mumatoro hamuzivi here kuti nyika inopwa? Asi chiyi nhai kubva matiita vanhu venyu kudaro? Or we all going pray for NGOs. Dome and I fear the tempest my dear Sebastian. Like a fatal kiss passing poison aged in brine. Blah-blah wa-wa, dum-dum dah-dah tootie-tu! Sing all the way to Timbuktu! In this weather I wouldn’t [CHATTER] mind MIND! Brazen brow, stand tall on broken toe and pity fie! Our second minuet, keep the posture keep the time. To spill ink to refill the bottle, now empty, with a message? of drops, a shiver, trickling slow. to tighten, but not crack. Not yet crack. a herd of Matabele cattle ghosts. the last Boer raid for many many years. completes the five that stand and gather moss. where balding koppies and their valleys sleep. watch the gradual dying of my light. among the slopes of five Matobo hills. that soon grows and blossoms. like there is something there to stand at awe for. will not bring me heaven. (By Temitope Aina – I studied Accounting at the University of Lagos, Nigeria. I love writing poetry, reading and classical music.